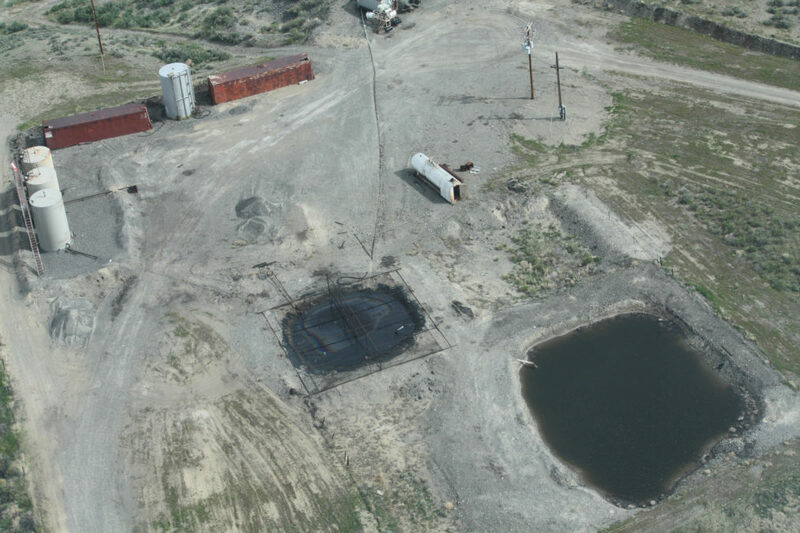 Oily pits such as these at a northern Wyoming oil production site pose a well-documented hazard to migrating birds. Legal wrangling over the future of a landmark conservation law signed 100 years ago centers on the question of whether “inadvertently” killing birds is illegal. Environmental groups are suing the Interior Department over its reversal of a longstanding policy that the Migratory Bird Treaty Act prohibits killing birds, even unintentionally, if the deaths were avoidable. Since the 1970s, the federal government had used the act to compel companies to halt or fix industrial practices that killed large numbers of birds. The Nixon administration first used it to get electric companies to redesign power poles to stop electrocuting eagles and other raptors in the Rocky Mountain West. Since then, Republican and Democratic administrations relied on the threat of fines and prosecution to stop birds from being trapped in oil company wastewater pits, snarled in fishing lines and injured in collisions with communications towers and wind turbines. The U.S. Fish and Wildlife Service is not tracking instances of restrictions being relaxed because of the policy reversal, according to Vanessa Kauffman, an agency spokeswoman. But already, a pipeline company cited the new policy when asking for permission to clear trees during birds’ nesting season. The federal government granted DTE Midstream Appalachia’s request for its project in Pennsylvania, according to documents from the Federal Energy Regulatory Commission. 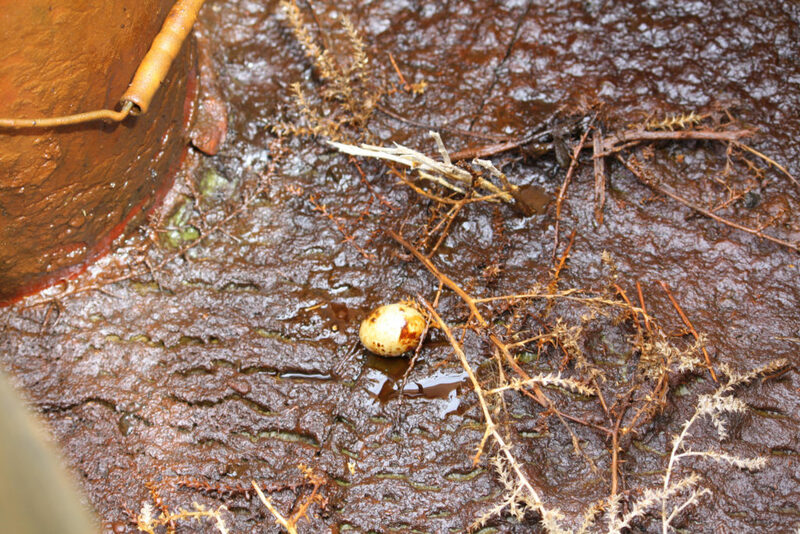 Since then, other courts have made similar rulings in cases dealing with oil pits, pesticides and power lines. 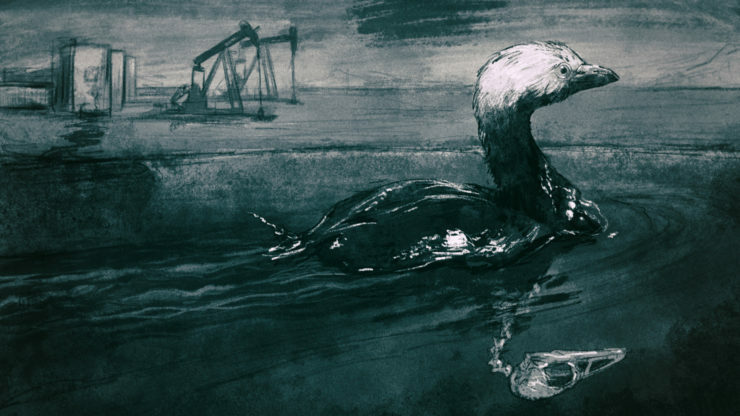 In the past, after big oil spills, the government has fined companies large amounts of money for killing birds. After the 2010 Deepwater Horizon oil spill, which researchers estimate killed more than a million birds, BP agreed to pay $100 million under the Migratory Bird Treaty Act. That money is used to restore coastal wetlands, which also help protect communities from hurricanes. “Barring a change in administration, there’s really no other way to get at this issue than to take them to court,” said Jason Rylander, senior attorney for Defenders of Wildlife. The lawsuit comes as some Republicans in Congress, at energy companies’ behest, are trying to permanently eliminate any confusion over the issue. Rep. Liz Cheney, R-Wyoming, added a provision to an energy bill to specify that the bird act does not prohibit “accidental or incidental” killing that results from “otherwise lawful activities.” Her provision is part of a broader Republican energy bill approved in committee in November. It has an uncertain future because Congress is gridlocked during this midterm election year. Some scientists take issue with the notion that bird deaths in wastewater pits or other proven hazards should be called accidental.